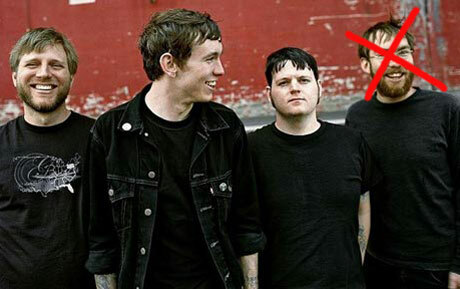 Drummer Warren Oakes Fired from Against Me! In a rather surprising move from a band who actually seemed to, you know, be best buds, drummer Warren Oakes has been fired from punk rockers Against Me! Oakes, who had the best "happy to be playing drums" face in today's music scene, has apparently now opened a Mexican restaurant, Boca Fiesta, in the band's hometown of Gainesville, FL. "I've spent the past eight years making beautiful music with my best friends and sharing it with amazing people all over the world," Oakes said in a statement posted on the band's website. "I've had the honor and privilege of traveling with the most dedicated road dogs on the planet and sharing the stage with the greatest bands. I have been embraced by so many with such graciousness and hospitality and love." However, while Oakes's statement makes it sound as if everything is peaches between him and the other band members, frontman Tom Gabel wrote in a recent entry on his blog, "I didn't want to play music with Warren anymore," and "it's been a long time coming." The band are scheduled to release their follow-up to 2007's New Wave later this year, again on Sire Records. No word yet on who will replace Oakes.